Drive into the New Year in style with the 2019 Subaru Ascent! This family-sized vehicle allows for you to drive your kids safely to those extra curricular activities they’ve been begging to take friends to. With this all-wheel-drive vehicle, you won’t want to miss the opportunities it can provide! Trying to find the perfect vehicle for your family going into the new year? Subaru Niagara offers the perfect deal on the 2019 Subaru Ascent! With this 3-row, family-sized SUV, you receive the value and safety you expect from Subaru. Showcasing the performance and reliability of Subaru, the Ascent provides the comfort, convenience, and adventure for the whole family. Seating 7 or 8 passengers, delivers a comfortable ride to go with the exceptional interior. The addition of many cup holders and USB plugs allows the family to enjoy the ride comfortably and entertained. As the perfect family vehicle going into 2019, the Subaru Ascent contains heated seats in the front and second rows to allow for the family to ride warm this winter season. The 3-zone automatic climate control keeps the vehicle safe and reliable as you drive through multiple season changes. In addition to this feature, the Subaru Symmetrical Full-Time AWD drive system and the X-MODE system allow for your vehicle to get through the tough weather without a problem. As a key feature for the family, this Subaru allows for a 6.5-inch infotainment system that is compatible with Apple Carplay and Android Auto to keep the children entertained through the long car rides this holiday season. As Subaru values your safety first, the Ascent is equipped with the standard safety features to keep you and your family safe this holiday season. The award-winning Subaru EyeSight Driver Assist Technology is featured in this vehicle allowing for a safer ride for the family. 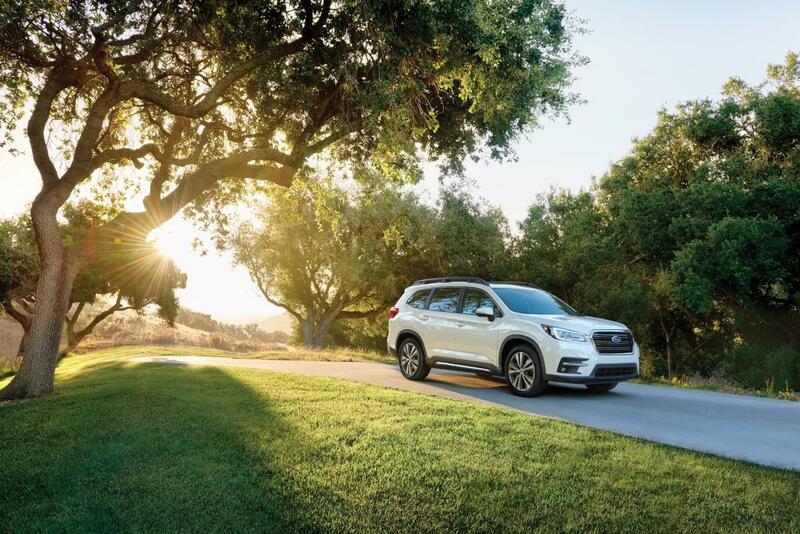 With the 2019 Subaru Ascent, go on comfortable adventures with the whole family. For more information on the Subaru Ascent, visit us at Subaru of Niagara today.